After our stay in Berlin we went straight to Zagreb/HR. 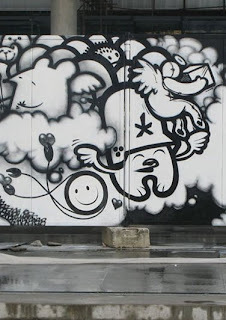 Hope Box set up a wall painting project at the Museum Of Modern Art (still under construction) in Zagreb. Heaven and Hell. 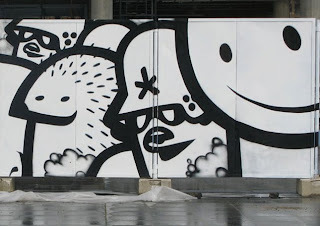 Together with the YCP gang we painted this clash of our characters there. Evil vs Good. 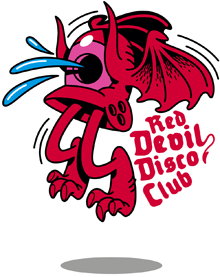 Shout outs to all the good guys: Lunar / Angel / Morka / Lortek / Zets / Zeds and Rienke! The whole thing also here. The London Police and me painted the F.I.T. 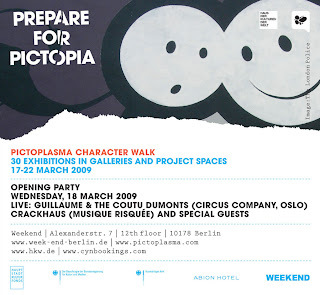 art space for the Pictoplasma Character Walk in Berlin. This building is a former gas station and so we made our characters pumping colours through that place instead of gas. There is also a small gallery space inside showing some original artwork on canvases there. Thanx to all people from Pictoplasma for making this happen and giving us good times and party. Also thanx to Dida from F.I.T. for bringing us constantly bottles of world's best beer "Tegernseer Hell". And cheers to Just for his work-in-progress photo report here. Just back from my 2 weeks travel to Berlin and Zagreb. Will hit you up with the lastest productions from it bit by bit. 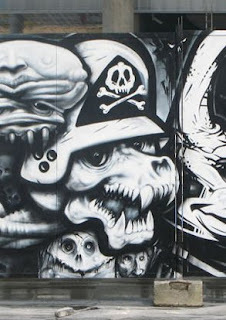 First here is a wall with my friend Base23 at the Cassiopeia area in Berlin-Friedrichshain/DE. I will be in berlin the whole next week together with my mate The London Police. 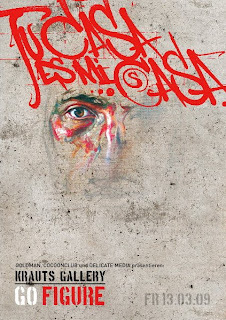 We will be there for the Pictoplasma Converence. 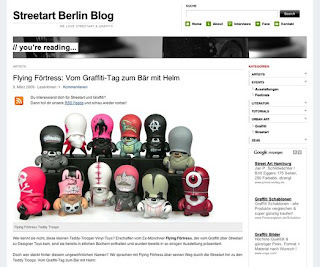 Read more in the interview i just have given for the Streetart Berlin Blog (sorry, it is in German language only). 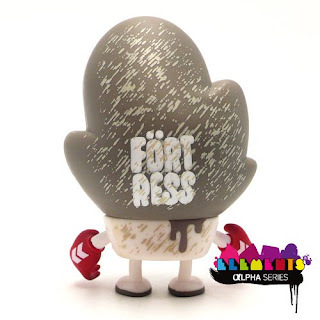 Artoyz from Paris just released the first artists series of there very own ELEMENTS vinyl toys. The Alpha Series includes skin designs by Koralie, Mist, Grems, Jean Spezial, Koa, Jon Burgermann, Flying Förtress and many more. See photos on the Artoyz Flickr site and on the Artoyz Blog. This Friday 13th there will be the opening of the temporary artspace "Go Figure" at the Cocoon Club in Frankfurt am Main / Germany. 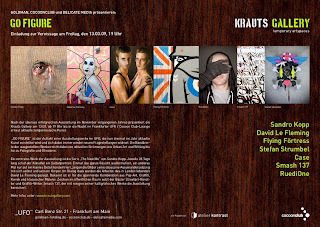 Set up by Krauts Gallery and bringing new work by Smash137, RuediOne, Stefan Strumbel, Sandro Kopp, Case, David Le Fleming and Flying Förtress.